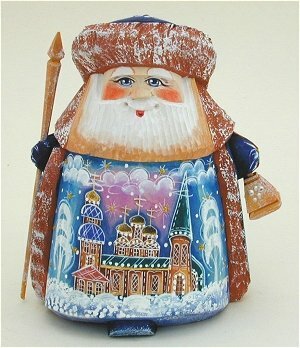 A small Father Frost with a nice church scene on his front. Carrying a sack on his back and a staff in his hand he is beautifully proportioned. 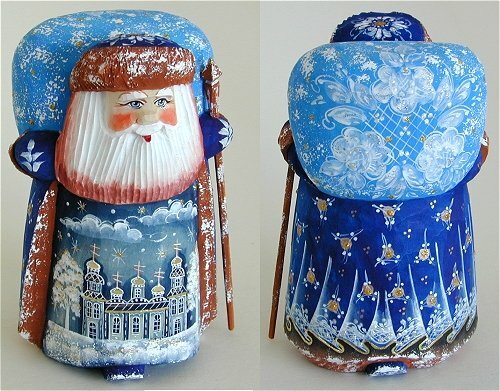 Carrying a sack he is beautifully proportioned. 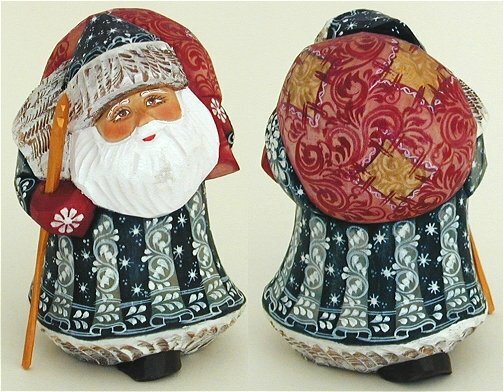 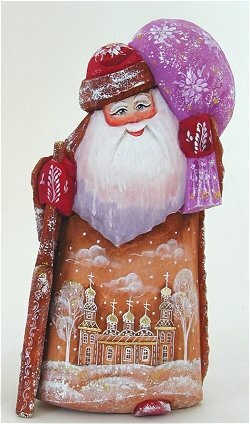 Carrying a sack and large bag on his shoulder this Father Frost has a wintry church scene on his front. 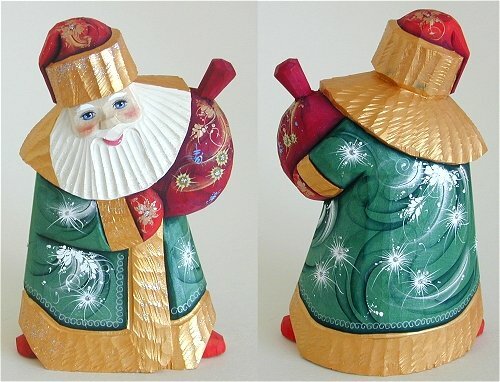 A wider Irish Santa with nice Shamrock decorations. 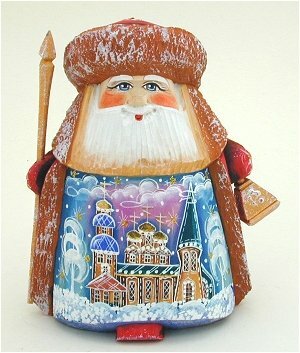 Father frost with a small bear. 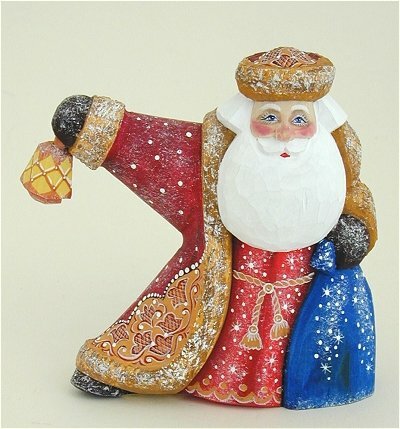 I like this fellow wit his lamp held high. He seems to be either lighting his way somewhere or being a beacon to one heading home.